Test all the features for as long as needed before you purchase. We urge you to make sure all your assets properly work within the product. Search our online user manual for help with iScreensaver features and all aspects of authoring screensavers. The Trial License allows you to build Screensaver Installers for testing only. No distribution or non-commercial use is allowed. Built screensavers installers will expire after 3 days and will retain iScreensaver.com watermarking. The Pro Distribution License allows you to distribute up to 100 customized screensaver installers worldwide, which may be used for commerical or for-profit use. It does not include the ability to change the author name on finished screensavers. It also does not include the alternate content feature (if used, such content will retain iScreensaver.com watermarking.) You may use the Designer software on one or two computers at your organization. The Screensaver author name will be set to your license registration code name (the name you used when purchasing). If you plan to make screensavers on behalf of multiple clients, consider the Ultimate license which lets you customize the author name at will. 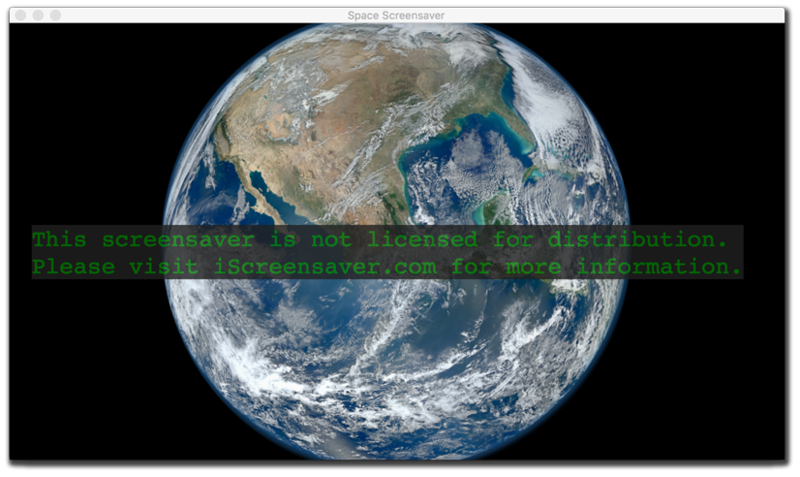 The Ultimate Distribution License allows you to use iScreensaver Designer to create screensavers for distribution. You may distribute up to 1000 finished, customized screensaver installers worldwide. Include an alternate, locked and hidden sequence in your screensaver with the Locking option, and provide personal unlocking codes from your website. You may author screensavers for third party clients and change the author name in the final screensaver to your client's name (a feature not found in lower license levels), keeping your corporate or clients' look prominent. You may use the Designer software on up to 4 computers at your organization. The Ultimate Site License allows you to use iScreensaver Designer on up to 10 computers in your organization at a single location. There is no limit on the number of finished screensaves you may distribute. In addition, this license entitles you to one year of free, email-based technical support. When this discount is chosen, the product may not be used for any commercial or for-profit activities. For more about pricing, see our web store (a secure store with Stripe) for up-to-date licensing information. All features are available for product testing at any license level, however unregistered screensavers will contain "Created With iScreensaver" watermarks during playback. A non-customizable, non-editable link for software copyright terms remains within the Control Panel. 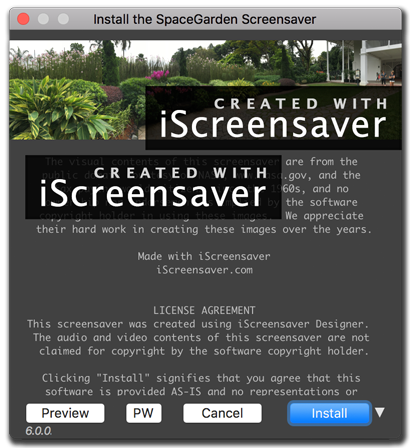 When using iScreensaver before purchasing a license, the "Created with iScreensaver" watermark will appear. There is no difference in screensaver playback when the watermarking is active. These watermarks allow you, our potential customers, to try every feature before purchase, especially if authoring complex Flash media projects. Nonsubtle tags will appear on icons, splash screens, and in corners during playback of screensavers. They do not interfere with any assets during normal screensaver operation, other than appearing on-screen. On images and movies during normal screensaver operation. During screensaver builds, the program will alert you if you are using any features which you are not licensed, or warn about any potential technical problems with your original assets. See the 'Build Details' list immediately after building for all Build Warnings. Upgrades between levels are available. Purchase a registration license, rebuild, and distribute your final screensaver installers.